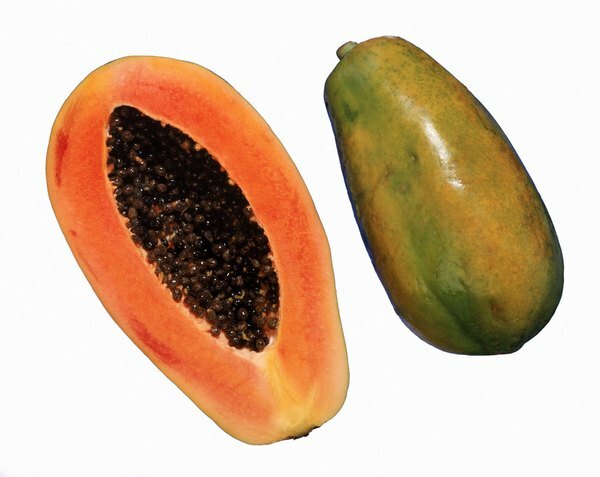 Papaya flesh, seeds and skin offer a range of health benefits. Papaya, which originated from Central America, is now grown in tropical and sub-tropical regions around the world. Reaching up to 18 inches in length, the papaya tree is categorized as a large herb and its fruit has a similar texture to melons. Providing a wealth of nutritional and potential health benefits, papaya is a valuable addition to your healthy diet. Papaya contains high levels of some important vitamins and minerals. One cup of papaya chunks, about 4.8 ounces, provides 2.5 grams of fiber, 29 milligrams of calcium, 30 milligrams of magnesium and 264 miligrams of potassium. The same serving size also contains 88 miligrams of vitamin C, 1,380 IUs of vitamin A and 3.8 micrograms of vitamin K. Additionally, papaya is an excellent source of antioxidants, such as carotenoids, flavonoids and anthocyanins. 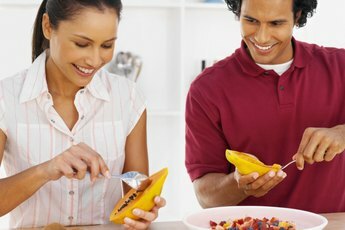 Red-fleshed papaya contains higher levels of the carotenoid beta-carotene, while lycopene, another member of the carotenoid family, is found in higher quantities in yellow-fleshed papayas. Papaya is particularly high in a proteolytic enzyme called papain, which digests proteins and make papaya a good choice for breakfast or to stimulate digestion after a heavy meal. 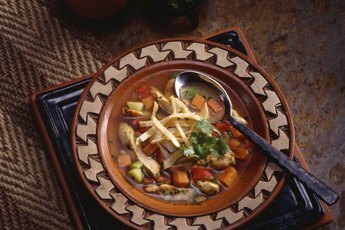 You can obtain papain by eating fresh papaya or by taking specially prepared papaya enzyme supplements. Though your body manufactures proteolytic enzymes, age can deplete your ability to produce sufficient enzymes. Papaya enzymes may reduce symptoms of indigestion, such as gas, abdominal discomfort and incomplete digestion or absorption of nutrients, according to New York University's Langone Medical Center. Antifungal benefits of papaya seeds, which you can use to make healthy salad dressings and spreads, were demonstrated in a study published in the July 2011 issue of the "Indian Journal of Pharmaceutical Sciences." The test tube study revealed numerous compounds with antifungal effects against Aspergillus flavus, a common fungus that often infects grains and produces a carcinogenic toxin known as aflatoxin. 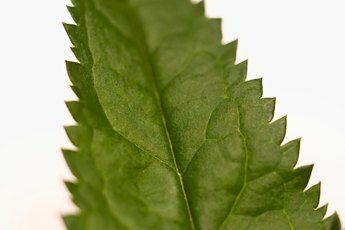 In the study, Candida albicans, the causative organism in most yeast infections, was also inhibited by papaya seed extract. Green, unripe papaya contains high levels of papain, which can be applied to wounds to speed healing of burns, reduce inflammation and alleviate pain, according to ethnobotanist James Wong, author of the book "Grow Your Own Drugs: Easy Recipes for Natural Remedies and Beauty Fixes." Papaya skin demonstrated nerve-protective effects in a tissue culture study published in the October 2011 issue of the journal "Experimental Biology and Medicine." Antioxidants in papaya skin protected nerve cells from damaging effects of hydrogen peroxide. 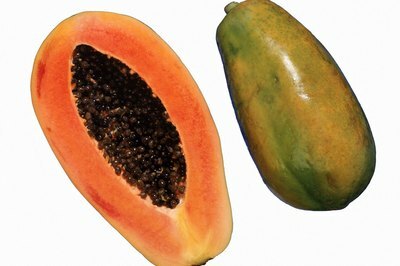 Researchers recommend papaya skin extract as a useful supplement for maintaining a healthy nervous system. 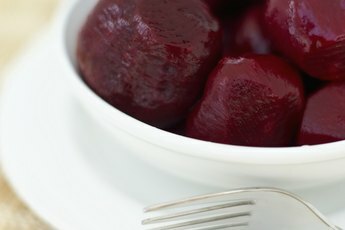 What Are the Health Benefits of Stewed Tomatoes?